Network security and design is significantly more complex than it was even just a few years ago, and the pace of rapidly evolving threats shows no sign of slowing. Managing network security can be extremely difficult when you layer in the additional complexities of compliance mandates, BYOD and mobility, lack of visibility and the requirement to quickly solve problems. 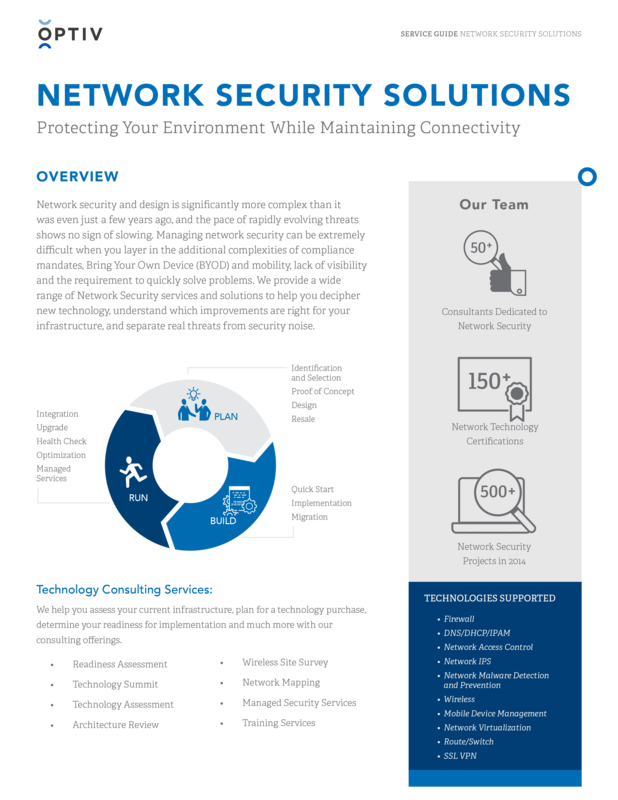 We provide a wide range of network security services and solutions to help you protect your environment.